Heaping amounts of skepticism surround the validity of acupuncture and its results. Does this type of therapy really work or is it a sham mixed with a placebo effect? Regardless of where your belief lies, Chinese medicine has been around for far longer than traditional medicine. Throughout history, satisfied and healthy individuals have been shouting from the rooftops the benefits of acupuncture and Chinese medicine. 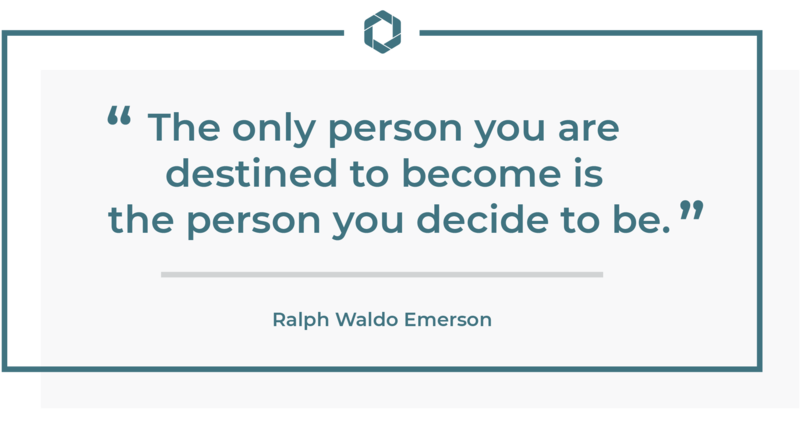 If you’re a believer who wants to dedicate your life to making others’ lives better through acupuncture, then we have some great information for you. Find an acupuncturist program in your city. 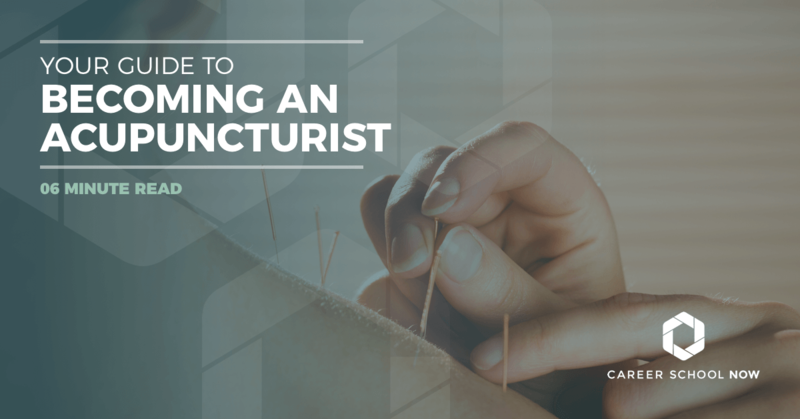 If you’re thinking about becoming an acupuncturist, then you already know that it’s more than shoving tiny needles into the surface of your clients’ bodies. Acupuncture is more than skin deep. Around for centuries, it wasn’t until the 1950s, when China’s leader Mao Zedong began to heavily promote acupuncture and all its practical benefits, that acupuncture found its way back into the picture. In fact, there are so many conditions acupuncture can help heal that the World Health Organization keeps a detailed list, which completely legitimizes the practice. Acupuncture is the most commonly practiced aspect of Chinese medicine in existence today. Acupuncture is used as a form of alternative medicine, and sometimes alongside traditional medicine, for stroke rehabilitation, chronic headaches and pains, lower back pain, pregnancy-related nausea, and for some chemotherapy-related side effects such as hot flashes and joint swelling. The core purpose is to control blood flow and balance the Qi (pronounced “chee”), which stabilizes the yin and yang. A lot goes into acupuncture prior to the strategic placement of the needles. Using the four pillars of diagnosis—listening to patients, looking at their faces and how they move, feeling their pulses, and inspecting their tongues—all ties in together to determine the proper needle placement, herbal remedy, or conversation. Because acupuncture isn’t quite mainstream, many professionals start their own practices. Or, they may find work in hospitals, chiropractic practices, medical centers, and a physician’s private practice. Some may also work in wellness spas and other holistic-type environments. Believe it or not, some veterinary hospitals also employ acupuncturists. It’s a great form of relief for animals, as well. Although it was invented in China, acupuncture spread throughout the world. All the forms are similar in theory yet may be different in fashion and practice. Traditional Chinese Medicine: TCM is the most common form of acupuncture studied and practiced throughout the West, and it’s what licensing exams are based on. Japanese Acupuncture: Fewer and thinner needles are used in Japanese Acupuncture. The focus is on the Five Element Theory, which is that the body can be broken up into five elements: wood, fire, metal, earth, and water. Korean Acupuncture: Korean Acupuncture is similar in theory to Japanese except it can use over 100 needles in one session. Korean Hand Acupuncture: This practice, Korean Hand Acupuncture, involves working on the hand to treat the entire body. Auricular Acupuncture: This system of acupuncture uses the ear to treat symptoms of addiction. It is also for some means of pain control. Medical Acupuncture: Commonly performed here in the West, Medical Acupuncture uses electricity to block pain. Veterinarian Acupuncture: Only licensed veterinarians can train and practice veterinarian acupuncture. This form of acupuncture is considered a surgical procedure. In order to practice as an acupuncturist, you must receive a master’s degree in acupuncture, along with your state’s required license. A background in medicine, biology, psychology, or neurobiology are excellent starting points. Clinical internships are requisites, so you’ll need to have your HepB, tuberculosis skin test, and be CPR certified. To become an acupuncturist, you must complete a master’s program from a school accredited by the Accreditation Commission For Acupuncture And Oriental Medicine. The full list of accredited schools and programs can be found on the Council of Colleges of Acupuncture and Oriental Medicine website. It takes three years to complete acupuncture training, and four years for Oriental Medicine, which includes both acupuncture and herbal medicine. There are a few master’s degree available to you: Master of Acupuncture, Master of Science in Traditional Chinese Medicine, Master of Science in Acupuncture and Oriental Medicine, Master of Science in Oriental Medicine, and Master in Traditional Oriental Medicine. Medical doctors are also allowed to practice acupuncture. However, they must go through the required training and experience in order to become licensed. Three years in acupuncture school could wind up costing between $75K-$85K. This isn’t including the three years of undergrad school required for gaining entrance into acupuncture school. It’s definitely a costly proposition. The required licensing after you graduate will cost around $2,500, but it’s good for 10 years before it needs to be renewed again. The Bureau of Labor Statistics does not have salary statistics specific to acupuncture careers. Recruiter.com and Glassdoor.com estimate the average salary of an acupuncturist to rest around $56,000 annually. Acupuncturists out of school for a year earn on the lower end, in the high $30Ks. However, it’s not uncommon to hear about acupuncturists earning six-figure incomes. It generally depends on the longevity of their careers mixed with press, whether word of mouth or otherwise. Holistic types of medicine are very in style right now, so it’s a great time to become an acupuncturist. Since it’s extremely common for acupuncturists to be self employed, there are no stats specific to their job outlook. The most related field would be chiropractors: The Bureau of Labor Statistics reports growth at 10 percent through 2026. This statistic may be somewhat of an indicator for alternative healing methods such a acupuncture job outlooks, as chiropractic is more of a holistic approach, as well. As an acupuncturist, the benefits you’re giving your patients are plentiful. You’ll be able to relieve a huge variety of pain without hardly causing any! Patients who have little to no response to pain relievers find a lot of alleviation with acupuncture. Acupuncture also can be used with traditional medicine to aid the healing and wellness process for many conditions. There are currently only four states that have no licensing requirements for acupuncturists: Wyoming, South Dakota, Alabama, and Oklahoma. California has its own licensing exam that differs from all other state tests. Generally, licenses need to be renewed every ten years, which will include continuing education credits and an exam. People who have tried it, swear acupuncture has changed their lives for the better. And, acupuncturists everywhere are not surprised. Be a part of an incredible, emerging field. Become a certified acupuncturist today!